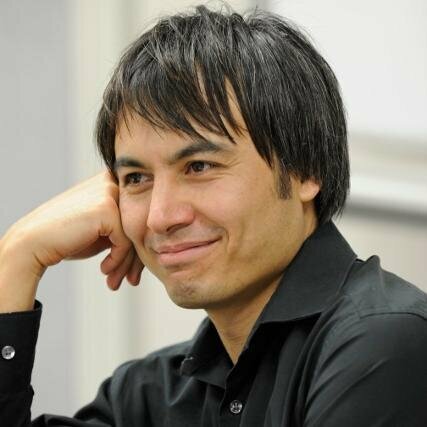 Adrian David Cheok is Director of the Imagineering Institute, Malaysia, and Chair Professor of Pervasive Computing at City, University of London. He was awarded the Hitachi Fellowship, the A-STAR Young Scientist of the Year Award, and the SCS Singapore Young Professional of the Year Award. He was invited to be the Singapore representative of the United Nations body IFIP SG 16 on Entertainment Computing and the founding Chairman of the Singapore Computer Society Special Interest Group on Entertainment Computing. He was awarded an Associate of the Arts award by the Minister for Information, Communications and the Arts, Singapore. He was awarded as Fellow in Education, World Technology Network. He was awarded a Microsoft Research Award for Gaming and Graphics. He received the C4C Children Competition Prize for best interaction media for children, the Integrated Art Competition Prize by the Singapore Land Transport Authority, Creativity in Action Award, and a First Prize Nokia Mindtrek Award. He received a First Prize in the Milan International InventiON competition. He received the Gold award for best Creative Showcase ACE, He is winner of Keio University Gijyuju-sho award, awarded for the best research of the year in Keio University, Japan’s oldest university. He received an SIP Distinguished Fellow Award which honors legendary leaders whose illustrious lives have positively influenced lives across generations and communities around the globe. He was awarded Young Global Leader by the World Economic Forum. This honor is bestowed each year by the World Economic Forum to recognize and acknowledge the top young leaders from around the world for the professional accomplishments, commitment to society and potential to contribute to shaping the future of the world. He was awarded "Honorary Expert" by Telefonica and El Bulli, the number one restaurant in the world. Fellow of the Royal Society for the encouragement of Arts, Manufactures and Commerce (RSA), an organisation which is committed to finding innovative practical solutions to today’s social challenges. His research on smell interfaces was selected by NESTA as Top 10 Technologies of 2015. In 2016, he was awarded the Distinguished Alumni Awards by University of Adelaide, in recognition of his achievements and contribution in the field of Computing, Engineering and Multisensory communication. In 2017, he entered the elite list of The h-Index for Computer Science, a list that contains only the top 0.06% of all computer scientists in the world. He is Editor in Chief of the academic journals: Transactions on Edutainment (Springer), ACM Computers in Entertainment, and Lovotics: Academic Studies of Love and Friendship with Robots, and Multimodal Technologies and Interaction. He is of Associate Editor of Advances in Human Computer Interaction, International Journal of Arts and Technology (IJART), Journal of Recent Patents on Computer Science, The Open Electrical and Electronic Engineering Journal, International Journal of Entertainment Technology and Management (IJEntTM), Virtual Reality (Springer-Verlag), International Journal of Virtual Reality, and The Journal of Virtual Reality and Broadcasting.